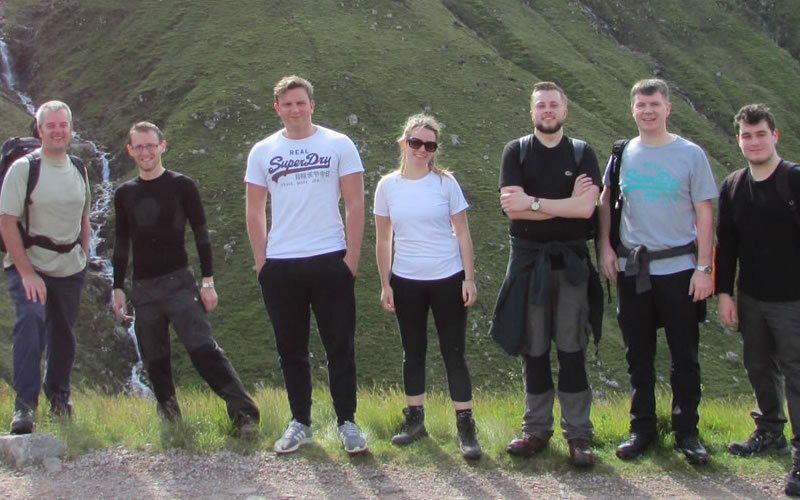 Here at Portal we are passionate about giving back, which is why we are organising a sponsored walk for our staff to climb Ben Nevis to raise funds for the British Lung Foundation (BFL). The British Lung Foundation funds vital research into lung disease in the hope to discover treatments and a cure for lung diseases. Over the past three decades, the BLF have spent more than £24 million on research to increase survival rates, improve diagnosis, treatment and care, and develop a better understanding of lung diseases. Portal are delighted to be able to support this very worthwhile cause. For more information on the British Lung Foundation please click here. On Sunday 2nd August 2015 the Portal team will meet in Fort William and set off up Britain’s largest mountain. This will be a huge challenge for our team and for the majority of the group, their first Munro! Luckily we have lots of accessible training routes nearby to prepare for the big day. As in our usual competitive spirit it will be a race to the top with a big pat on the back for the winner! We hope to be up and down the mountain within 7 hours. Our goal is to raise over £1000 by 02/08/2015. All donations are greatly appreciated and are going to a great cause.